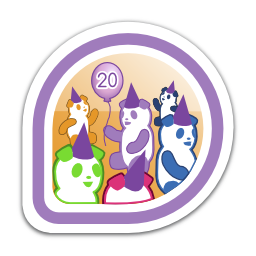 Six years ago, on August 20th, 2008, I was approved as Fedora Ambassador. 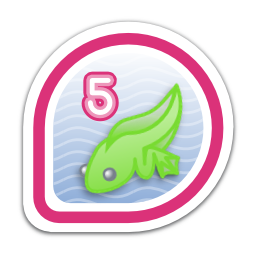 There is not six year badge, but here is one close enough. Me: Can I have some media? Me: Can I get reimbursed? Me: If I open a bank account in the US, that will help? Me: How can I help change this situation? This was at the time that Latin American Budget for events and promotion where handled by Red Hat office at Brazil. After some time, Fedora took control of this and changes starting to happen. In any case I started to keep track of things that I spent. That add up to almost a thousand Dollars and I got reibursed in FUDCon Tempe 2011. About one year latter since I start paying stuff. Things started to change at Tempe. Max Spevack came with the idea of getting fedora community credit card. FUDCon Panama 2011 I have some few houndred dollars to be reimbursed again. Finnaly the credit card was issued and things got a lot better. I can’t claim that it is perfect, but it is a huge improvement. Besides the desicion making process to assing funds has been revised and it is a lot more regional driven. There are some quirks about countries and people that can’t be reimbursed by Paypal. Best way is to pay directly with the community credit card, but some stuff can not be purshased directly and have to be reimbursed. Along those year I have been working on different parts of Fedora Project. I am Mentor for Ambassadors. I have been on FAmSCo twice in the past and I am currently back in the Committee. I worked some time in the Marketing Team. I wrote for some time Ambassadors beats for the FWN (Fedora Weekly News). I have been involved in Freemedia for almost six years. Now I am a Fedora Project Board Member. I have run one Release Party every release since Fedora 11. For Fedora 13 I travelled to El Salvador and Guatemala (on my own pocket), to make three release parties with the Managua event in one week. 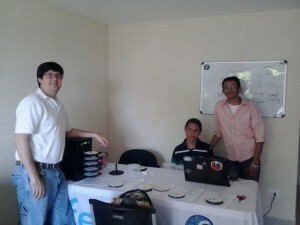 For Fedora 16, I went to Costa Rica (sponsored) to help with a release party. At Flock Prague 2014, I stated that I am a pretender. Along those six years a I haven’t become a programer and I haven’t become a system administrator. Some people said that I am pretending to be dumb. Maybe both statements are a little bit true. I have learn a lot of technical stuff along these years, but I haven’t been focussed on one thing. Most of the time I have been dealing with things that are needed for events. Once I setup a machine with a local repo and also a gateway for internet. This was the ideal setting for running upgrades with poor internet conectivity or even without internet. I also explored how to build local repos for updates from DVD and USB for offline upgrade and installation of key packages not included in Live Media. But I always have had a great internet connection at office and a decent connection at home. So I was able to dowload all this without really needing it for my use. Some how this experiment fell short on my expectations. I never were able to set up a PXE boot server. That was because I did not get to understand how, and then I was busy doing other stuff. When I asked for help for the PXE server, people were busy doing other stuff. In the end, it never come to happen. Flock Prague 2014 was again an example of this kind of things. I went to governance meetings and Fedora.Next talks, but I wasn’t able to attend a UEFI boot talk or one of the various talks about Docker because I was somewhere else in the previous stated activities. 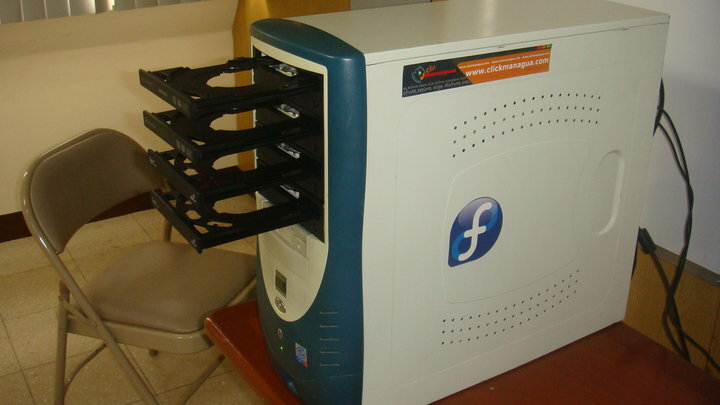 There has been fun stuff like building a multy DVD tray computer for burning media, that went down with Fedora 16 inability to reliable handle multiple trays (or it was Fedora 15?). After a while, I just bought a media duplicator because I needed to burn media. This is next to a printer with a media tray, so I can made nice media. This has been a personal spent. Beyond Fedora media, I have been only use the duplicator for burning some Debian and Korora media. It hasen’t been a good return over investment. I haven’t look for any business for this setup. Althoug it has been fun when a group get together to make a burning meeting. Probably this looks like rambling over old memories. I should move into future stuff. 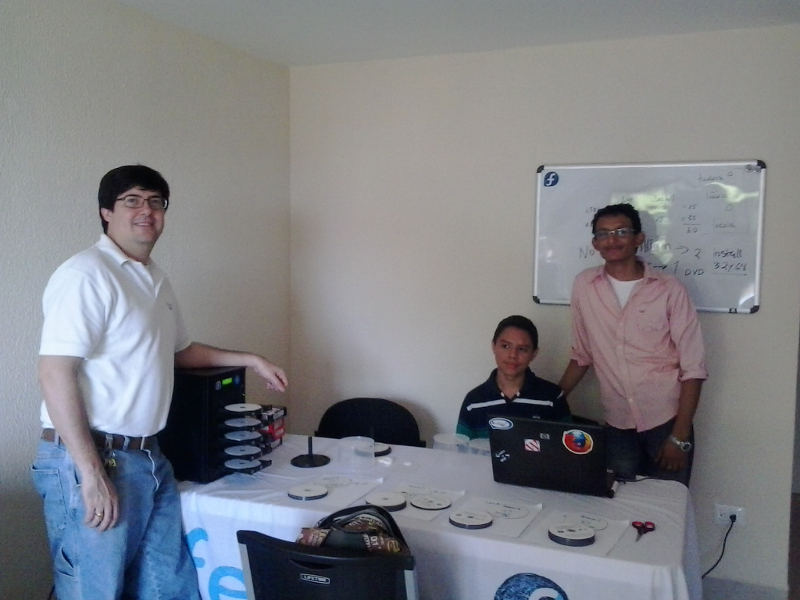 At the local community, we have been organizing FUDCon Managua 2014. As a local community we have been talking on how to grow up in knowledge and fun, most likely we will start a Hacker Space after FUDCon. 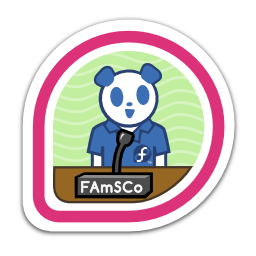 I think that the current Ambassador role and the current proccess to alocate funds has become outdated and as part of FAmSCo I want to set things in motion to change that. But most important of all, after FUDCon I want to start learning things that I like or that I need. 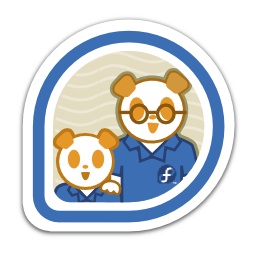 Probably I will need to find my replacement on the local community and other activities on the Fedora Project. Sometimes I think if I have been proactive and making the most as a Fedora collaborator for the Project or not. In the other hand my day job has nothing to do with any kind of software or system administration. Every time that somebody comes with the proposal that every candidate to Fedora Ambassador should be a collaborator to other team in the Project before been aproved on the Ambassador’s team, I can said that I would not be on the Project if that were enforced. Then, I think that I have done something on these past years. Thanks for being a great contributor, Neville!